Brighid Darrow, Countess of Carstairs, has endured years of a loveless marriage in order to aid her friends and the people of Northridge. Yet once she is widowed, the village shuns her with accusations of witchcraft—vilifying her unique gift of reading auras. Released from past restraints, Bridey rebelliously embraces her dream of establishing a forbidden school for midwives. With several million books in print and New York Times and USA Today’s bestseller lists under her belt, former CPA Patricia Rice is one of romance’s hottest authors. 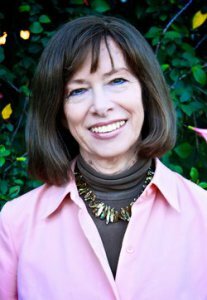 Her emotionally-charged contemporary and historical romances have won numerous awards, including the RT Book Reviews Reviewers Choice and Career Achievement Awards. Her books have been honored as Romance Writers of America RITA® finalists in the historical, regency and contemporary categories. 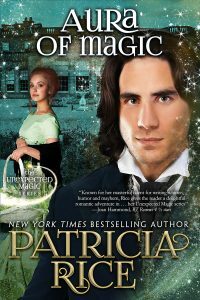 A firm believer in happily-ever-after, Patricia Rice is married to her high school sweetheart and has two children. A native of Kentucky and New York, a past resident of North Carolina and Missouri, she currently resides in Southern California, and now does accounting only for herself. She is a member of Romance Writers of America, the Authors Guild, Novelists, Inc. and BVC Publishing Cooperative.